Content Delivery Networks (CDNs) are data servers deployed across the internet which facilitate in the caching of data to serve content with high performance and in the fastest means possible. CDNs are inexpensive tools that significantly improve speed and reliability of a websites. They allow users access your content globally without experiencing loading delays and extended buffering. WordPress Directory is abundant with CDN plugins that offer several optimization features for easy integration and prompt caching functionality. Edge Servers: The main server on which your website is hosted. It’s location can vary, but it is typically on one or two areas and user request directs towards that server, when they request for data. Since a CDN is comprised of a network of servers with cached content, these requests redirect to the nearest edge servers to the user which results in faster loading time. Pull URLs: File directory from which the connected servers can copy data for users to view. Website Files: The main content being hosted on your website, which contains images, text, audio and video files. Websites located farther from the user and without a CDN at their service experience a longer loading duration. With internet connecting it’s users all around the world, regional websites have begun targeting a global audience to gain more online exposure and market diversification. Since you will be making your content viewable for all users across the world, there are several imperative reasons you need to incorporate a CDN. Thus to make sure your website content gets unparalleled performance and the best attention online. A latest survey revealed that nearly 45% online users will abandon a website if it fails to load within the first 2 seconds. The biggest advantage of using a CDN is the uncompromised speed that your WordPress blog will receive. The static data of a website is cached on the servers. Then the nearest one to the user responds by loading that data instead of fetching it from the main server. Thus significantly cuting the loading time. The speed boosts not entirely due to the CDN, since awebsites with poor code will definitely result in crashes. Moreover, the server type and hosting configuration are also key factors, so consult with your CDN provider for optimum results. The speed boost from CDNs gives immense credibility to your web pages in Google SERPs. Search engine result pages’ rank websites around certain factors, one of which is speed. 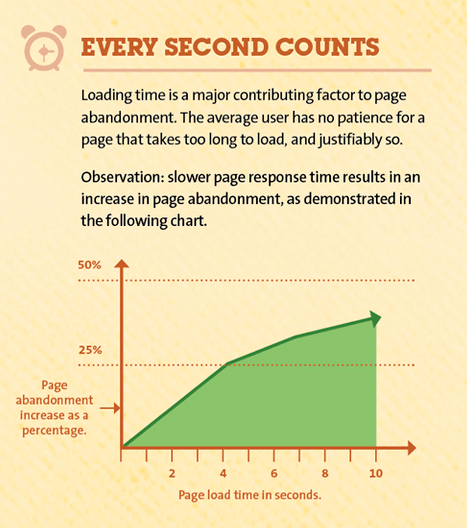 The better the loading speed the more visitors your website receives. Using CDNs also ensures that each version of your website remains identical across different servers and locations. CDNs use canonical headers and caching algorithms and to enhance SEO of your website by scanning for duplicate content creation issues. CDNs naturally preserves website Data. If the main server goes down for any reason, the website’s traffic will immediately take a nose dive, affecting the credibility of its SERPs for months and even years to come. Hence CDNs are designed to contain such situations by providing failover capabilities through data caching in their servers. This permits access to data even if the main servers are unresponsive. Cyber criminals constantly develop new techniques to cause damage, which ranks security as a critical issue in today online sensitive world. Deploying CDNs ensures additional security protocols for WordPress blog which covers the host of issues ranging from Direct Denial of Service (DDoS) attacks to data sniffing. Another reason CDNs are trending is because they give uncompromised content quality. Due to changing requirements, Larger files and HD content such as videos, themes and high-resolution images can take serious toll on the speed and even weaken security protocols. For a website to remain optimally functional, CDNs play a significant role to load cache data and boost site speed for uninterrupted browsing. Competition is always tough for foreign websites. CDNs usage give them the edge they need to overcome such obstacles and make their website easily accessible for users based on locations other than their main servers. Even under nominal bandwidth, CDNs give global coverage without breaking a sweat. This eliminates inconsistency and throughout access to Java and CSS elements. CDNs greatly increase the load handling capacity of your website by stable speeds. Sharing resources or self-hosting reduces loading time and other complications associated with it such as crashes and loss of data. If the your website traffic spikes, the CDN will handle the turbulence and users will still be able to view your website content without any compromise in performance. Although CDN services do not come cheap, but are a safe investment since they considerably cut down the cost of acquiring bandwidth for hosting. Instead of purchasing additional space for hosting your blog, CDN services can be deployed which will handle the entire efficiently. CDN services are provided by organizations with resources and technical skills to operate and maintain a multitude of servers. While it reduces the number of tasks required for blog maintenance, it also gives support services. This facilitates blog optimization and updating according to shifting trends, which otherwise would require separate web development cost. Thus CDNs seamlessly integrate with WordPress blogs since they highly depend on traffic. Also they help to reduce the number of issues that web platforms face with. So with the integration of CDNs, your WordPress blog will immensely benefit from the advantages above. Also CDNs ensuring your target audience both – receives the content with impeccable user experience and protected with top security measures. Asad Ali is an experienced digital marketing expert having more than 7 years of experience in eCommerce industry. Currently, he is working for GO-Gulf – a Dubai’s premier website design company. He has successfully worked on promotion and outreach campaigns of eCommerce websites, products and services. You can reach him on Linkedin. What do you think about CDN servers? Share in comments below. If you have the ideas how to make our articles become better for you just contact us.